Color Blocking is all the rage now, but somehow it scares me a little bit. Mixing and matching doesn't come easily to me. I'd rather be safe in my black shoes and off-white walls. If I'm wearing yellow, I'm more likely to pick a yellow or black handbag over a red one, any given day. It's a different story with make-up though. I didn't even think twice. I had a picture in my head and I started painting. I know I already did similar green eyes recently, but this is more green okay lol. I thought about doing blue but I don't know...too cool. 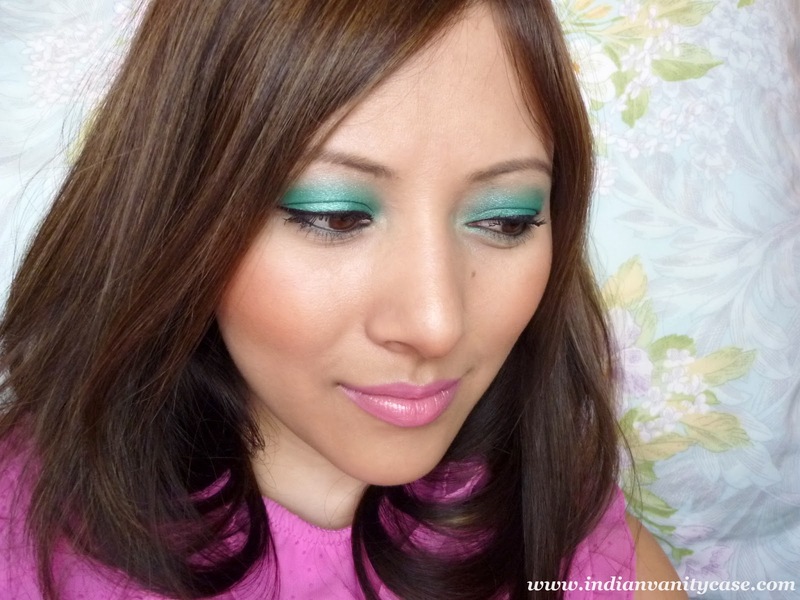 I chose to pair emerald green, peach & pink for this look. How brave am I?! ;). In the pic above I didn't line my waterline, which I think looks better in this type of look. But then I felt naked in a few minutes, and decide to line it anyways. 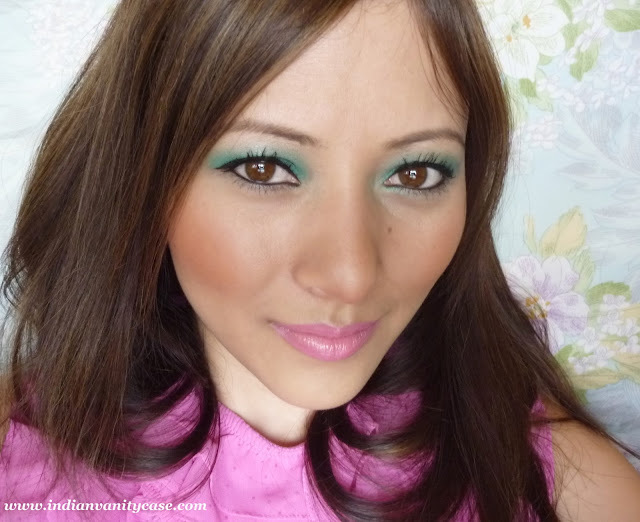 Eyes ~ Emerald green eyeshadow (BF 120 palette) on the lids & blended up to the crease, simmery white eyeshadow on brow bone, Bourjois Liner Feutre on upper lash line, Urban Decay Zero to tightline & on waterline, Kate Mascara Base, Bourjois Volumizer Mascara. 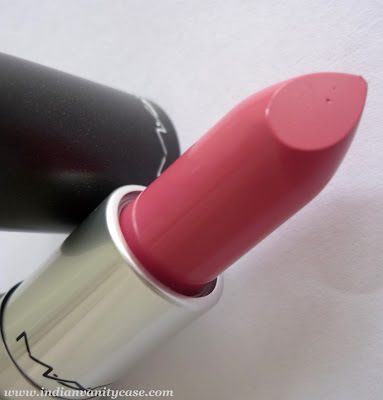 Lips ~ MAC Lipstick Chatterbox (amplified). I bought this recently. Just put up this pic to show you something. Look at my forehead. See that map-like darkness under the surface. Ya, that's my enemy. Unwelcome/uninvited guest. Shoo! So, what do you think about the color block trend? Yay or nay? That is soo true that color blocking clothes can be scary & disasters happen waaay too often. unbelievable how pretty you are, but i would use another colour of lipstick. M gonna color block soon... my gurlfrenz need 2 c dis! Super pretty look and yeah I think it looked better without liner, find the black distracts a bit, maybe a coloured liner would be better. Chatterbox looks soooo pretty on you! u pulled off these bold contrasting colors really well....n even without ur water line done ...u looked pretty awesome! i love ur lipstick n blush . You carry this look so well! You should totally open that school CZ! 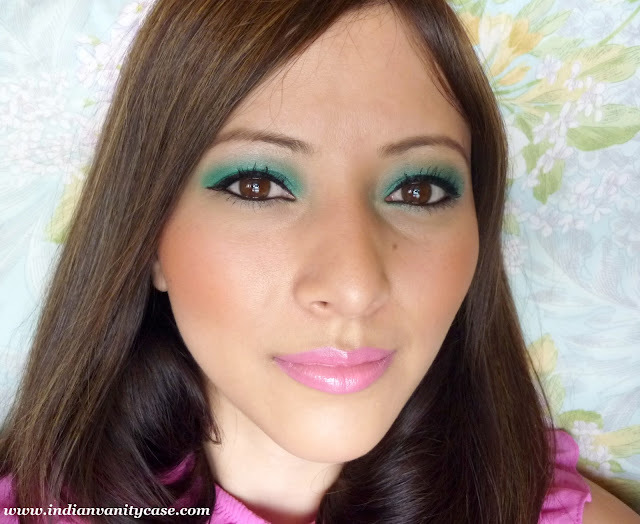 love this look you did! so gorgeous! amazingly gorgeous..btw are you wearing false lashes?if no,then your mascaras really good. can i officially copy your idea ?? you are looking damn cute here :D :D as always making us J but then all it takes is positive energy .... how come you look so wonderful every time ?? ?